About PVREA | Poudre Valley REA, Inc.
We are committed to providing safe, reliable, efficient energy solutions with exceptional service to our members. Poudre Valley Rural Electric Association, Inc. (PVREA) is a distribution cooperative owned by the members it serves. PVREA was founded in 1939 by its members to provide reliable electricity in Northern Colorado. 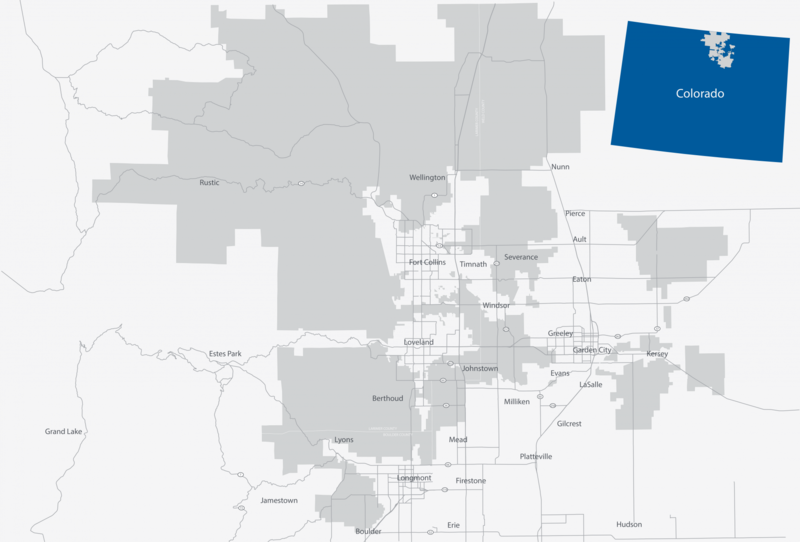 Today, PVREA covers 2,000 square miles of service territory in Larimer, Weld, and Boulder counties and over 4,000 miles of overhead, underground and transmission line combined, serving over 44,000 homes and businesses. Find out why being a co-op member offers more than simply being a utility customer. We've been around for a long time. Every year the co-op holds an Annual Meeting where members hear the state of the cooperative over breakfast and participate in the election of directors. The co-op also publishes the Annual Report every spring.